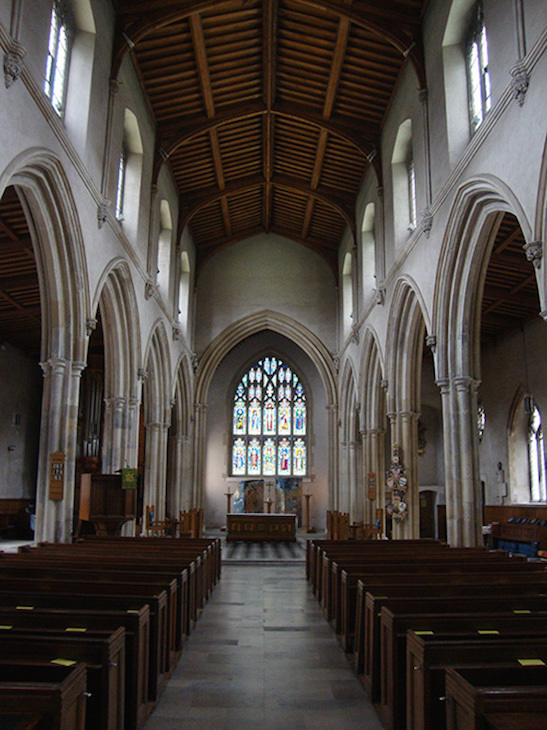 St Giles' Without Cripplegate - London's Most Resilient Church? 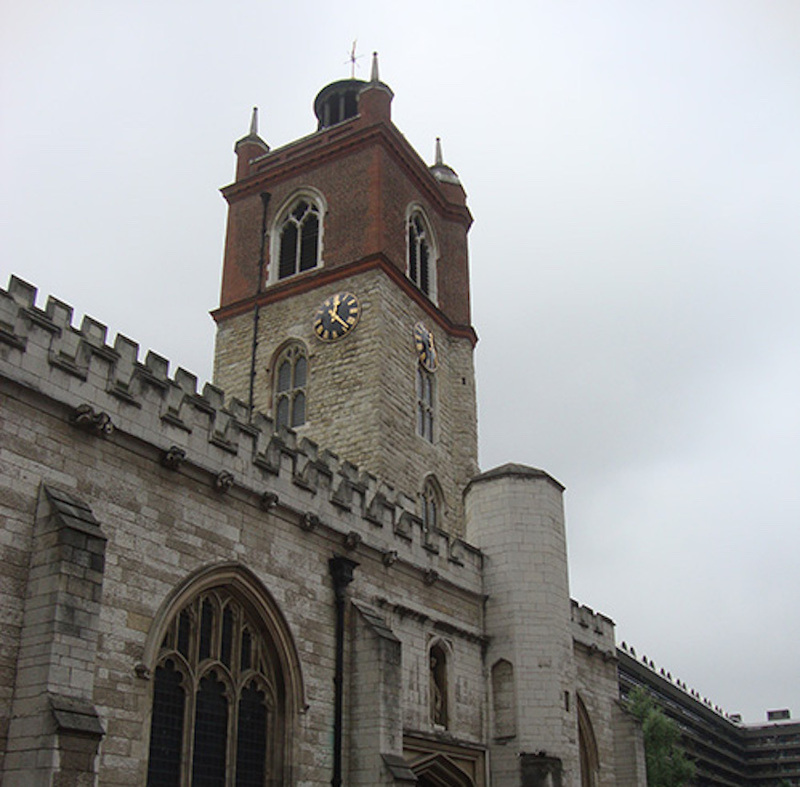 London Historians St Giles' Without Cripplegate - London's Most Resilient Church? Does anything in London appear more incongruous than St Giles' Cripplegate, an oasis in the brutalist desert of the Barbican? After the second world war, the building rose again from the rubble of one of the worst-blitzed areas of the capital. There was hardly a brick standing once the Luftwaffe had done its work on the district. And yet, though horrendously damaged and burned, the crenellated medieval shell and tower of St Giles’ somehow survived. the last imaginable little memorial of that vanished city that Shakespeare knew. (See here for other examples). Having seen this venerable church from a distance many times, when I finally got to make my long overdue first proper visit, it did not disappoint. As medieval parish churches go, St Giles' is very light inside, fortunate indeed given the grim, grey weather. Statues, busts and memorials are plentiful, not surprising given the associations with many household names from history: John Foxe, the martyrs chap, buried; Launcelot Andrewes, editor of the Authorised Version, rector; Oliver Cromwell, married; John Milton, buried; Rick Wakeman, recorded. Other noteworthy things which chimed with me were portrait busts endowed by a hero of London Historians, John Passmore Edwards: Bunyan, Cromwell, Defoe and Milton*. 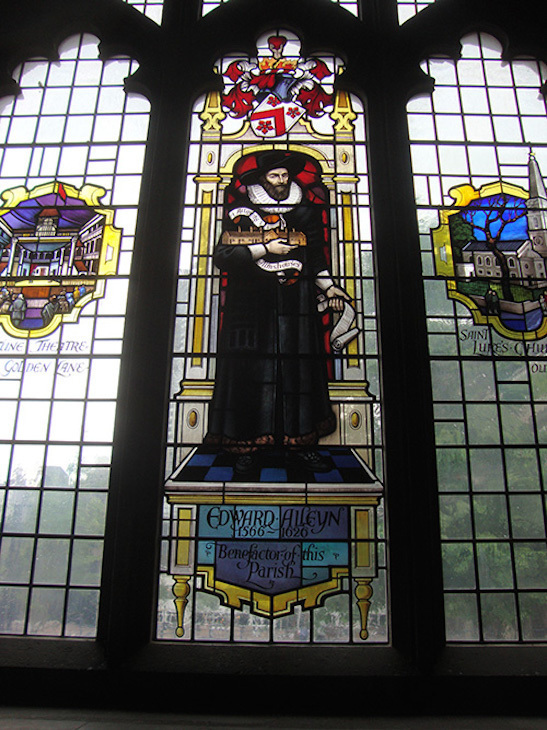 A stained glass window dedicated to Elizabethan actor/impressario Edward Alleyn who was a benefactor of the church and a reminder that the early theatre was banned from the City, hence St Giles' without Cripplegate. 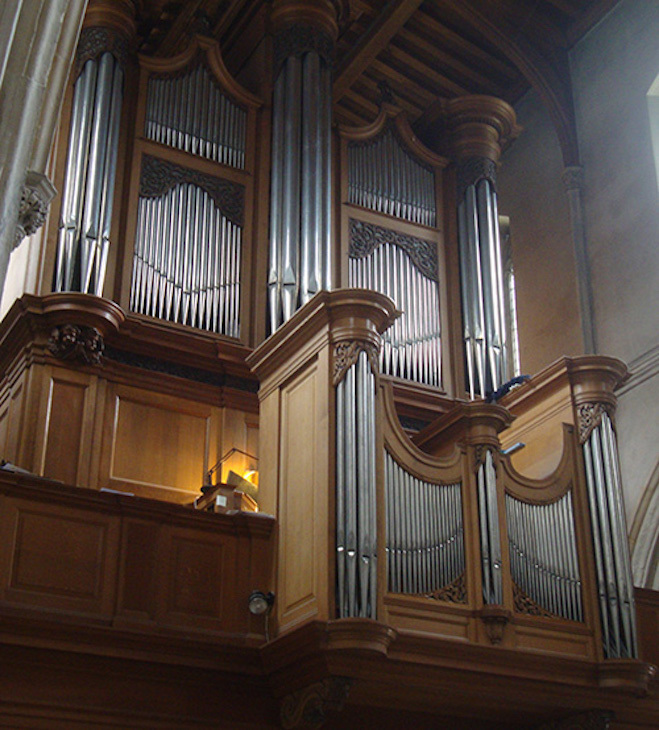 And as a fan of Yes and Rick Wakeman from my early teens, the church organ. Most unusually, St Giles' has three of them. As a bonus, someone was practising the organ the whole time I was there. This happens rather often when you wander off the street into one of our great historic churches. So another is added to my collection. It's wonderful, do go. YouTube: Rick Wakeman's Jane Seymour, featuring the St Giles Cripplegate organ. St Giles' without Cripplegate website.